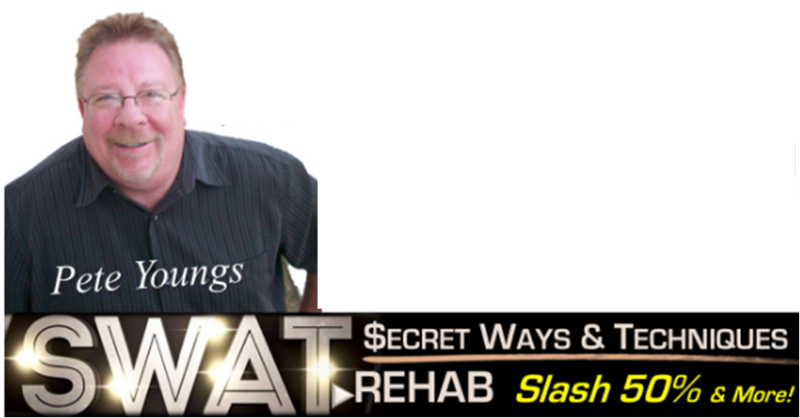 Pete Youngs, aka "Mr. Rehab"
Pete knows that buying discount properties insures a lower purchase price, and will teach you valuable contractor techniques to lower your fix up or maintenance costs by 50% or even 75%! You will literally add REAL DOLLARS to your net worth and equity position whether you own just one home or one hundred homes. Pete is a successful investor; business owner, author, and lecturer dedicated to helping others to achieve their goals as investors and real estate entrepreneurs. He has a monthly column in Real Estate Success Magazine, Real Estate Investor Publication, Real Estate Investing Today and is a participating supporter of Habitat for Humanity, Gareia, National REIA and other various groups.